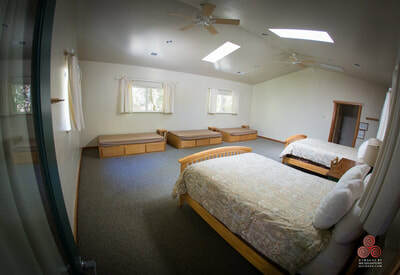 Many of the rooms we rent today used to be cabins that residents lived in back when the property was an unincorporated community, and therefore have a more rustic and unique feel to them. 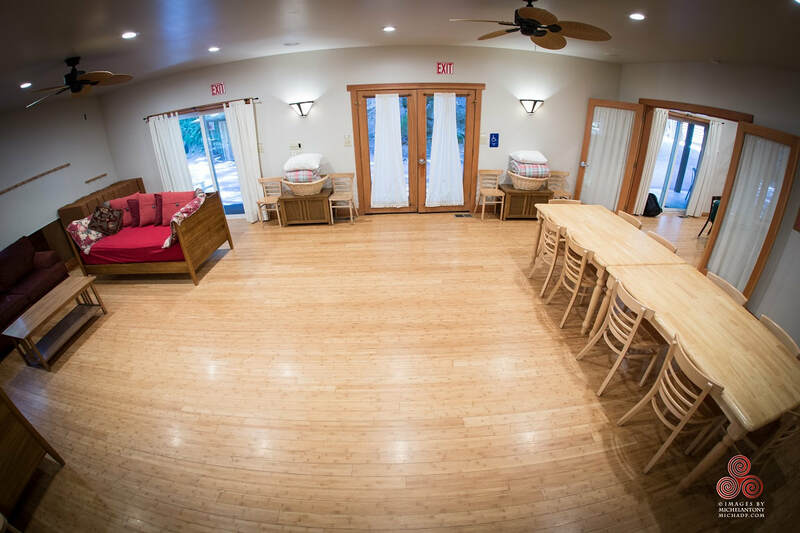 Whereas several of the accommodations, like the Yurts or Rooms 14/15, were built more recently and have a more modern feel. 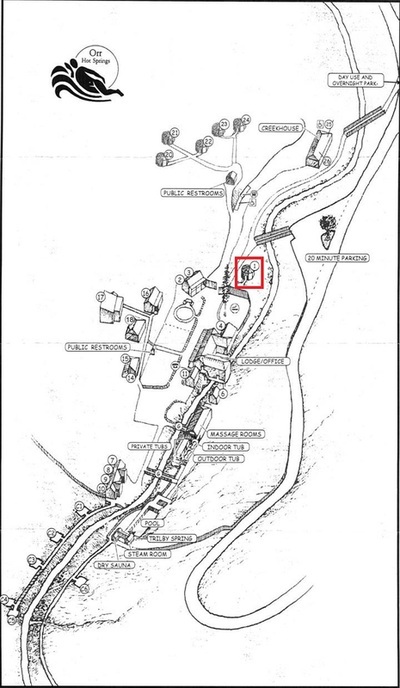 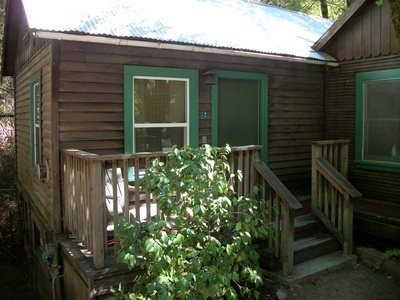 It should be noted that all of the rooms on the property can be locked from the inside, but not the outside. 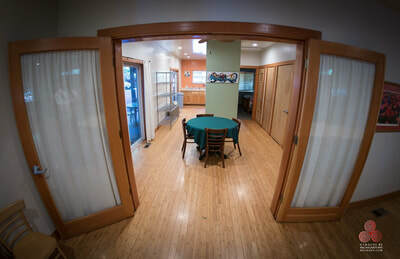 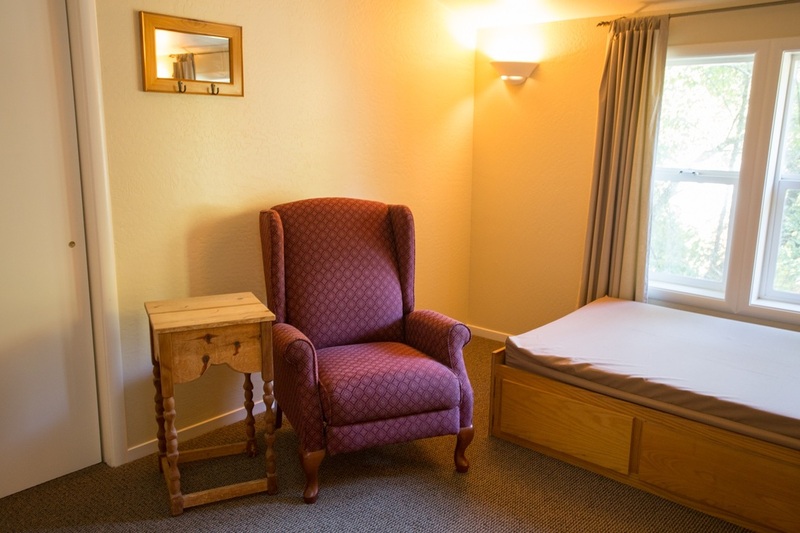 That said, we've never had any issues with theft occurring from the rooms, however for peace-of-mind we have a safe located in the Front Office in which guests can store valuables free of charge. 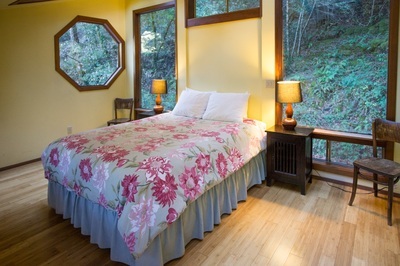 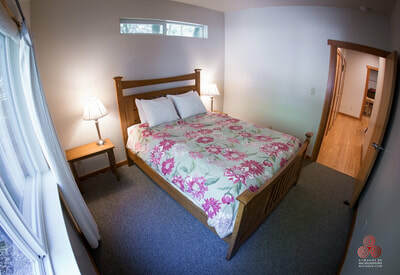 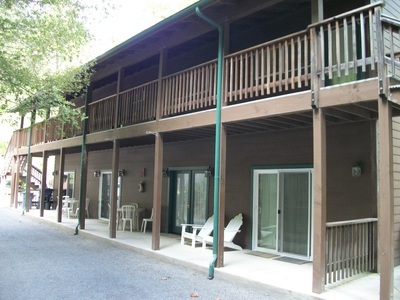 Every room on the property has at least a Queen size bed, however depending on the room, there may be additional beds. 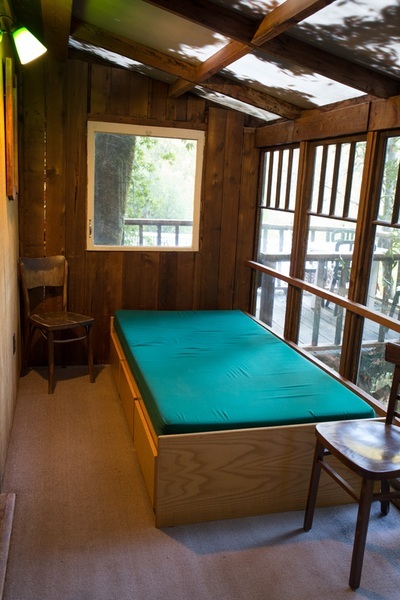 Futon: An 8" folding futon that we can put on the floor with bedding. 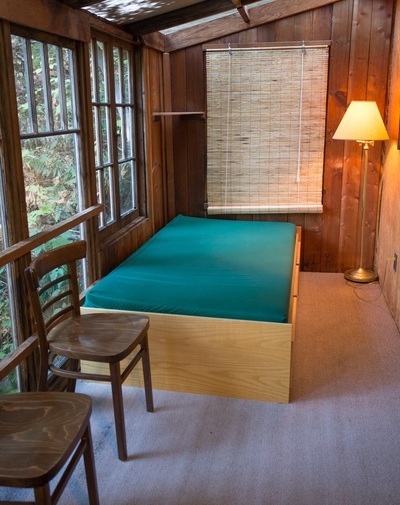 Not all rooms can accommodate an extra futon. 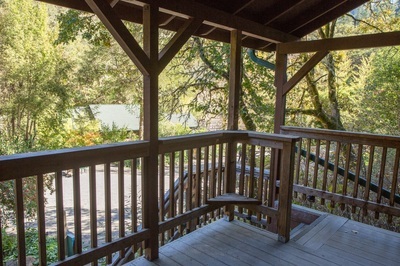 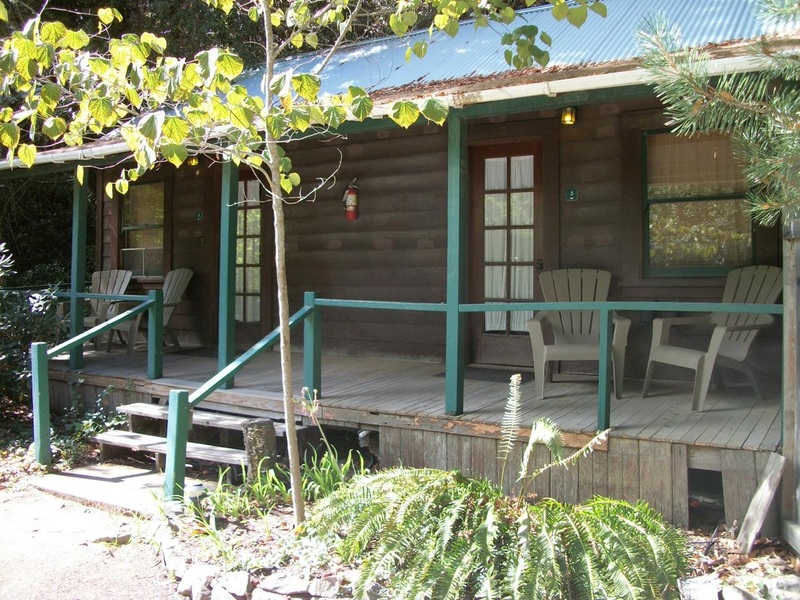 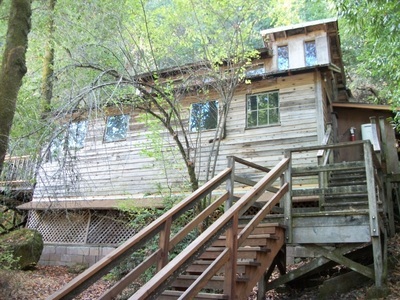 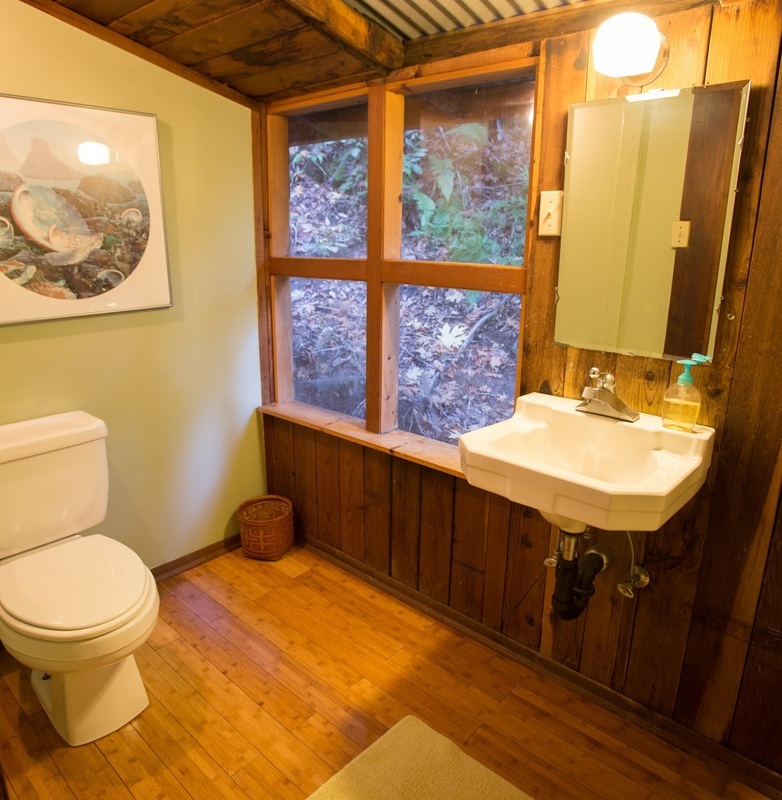 All bathrooms on the property are Half-Baths (sink and toilet only). Private: The room contains a private bathroom. Shared: Rooms 2 and 3 share a bathroom (Jack-and-Jill style) that is located in between the two rooms. 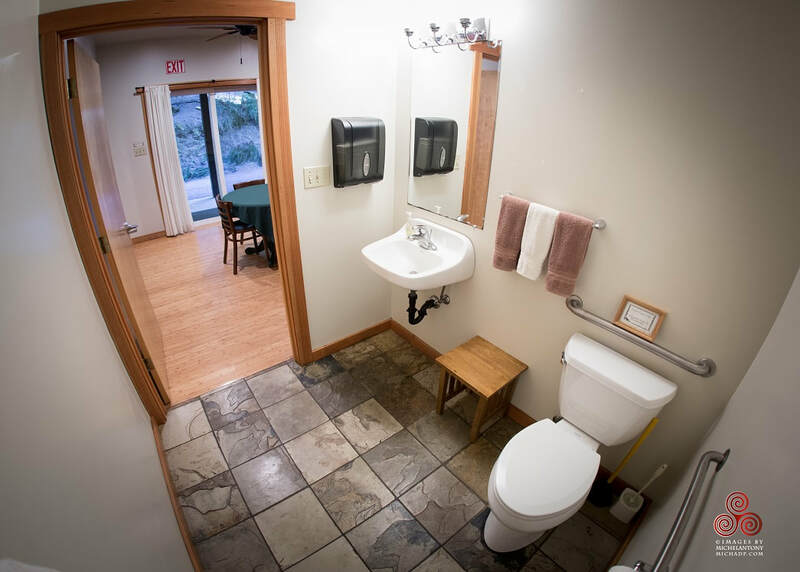 Separate: The rooms does not contain a private bathroom, but a communal bathroom is located nearby. 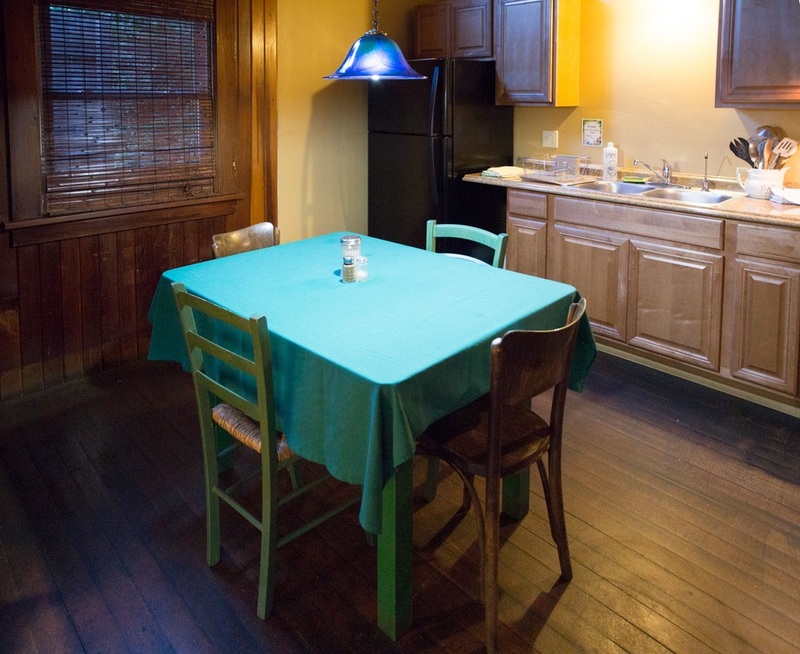 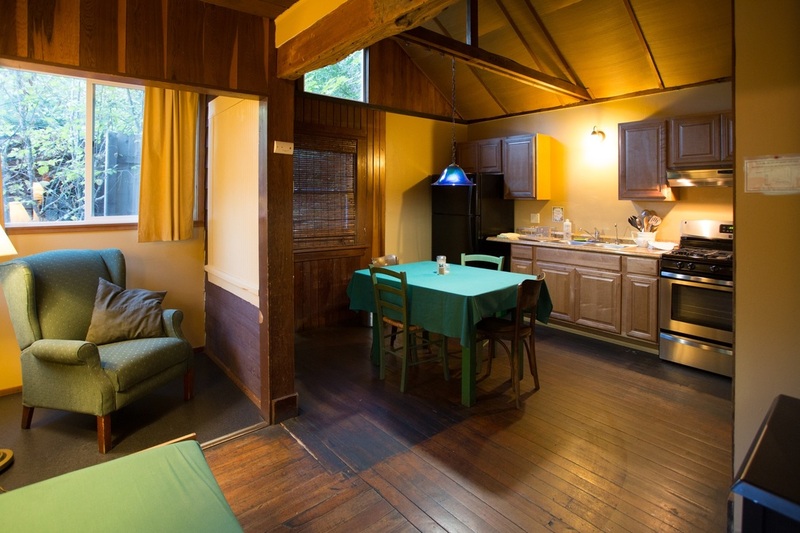 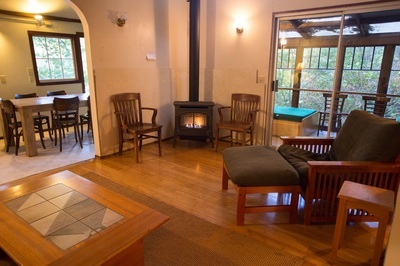 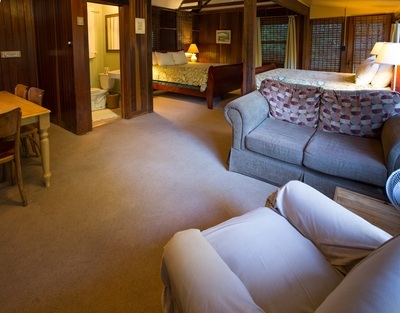 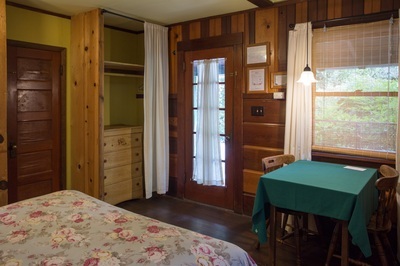 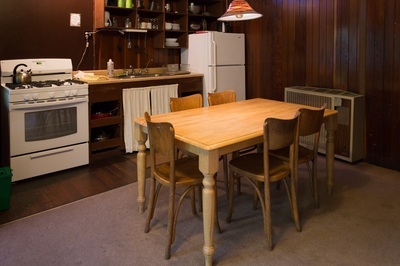 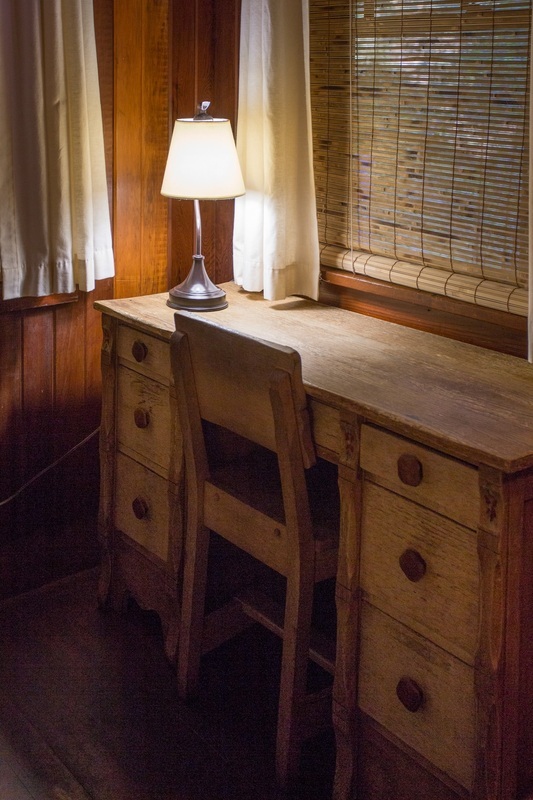 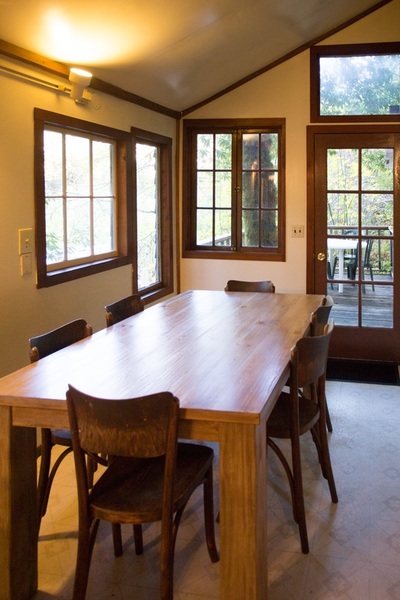 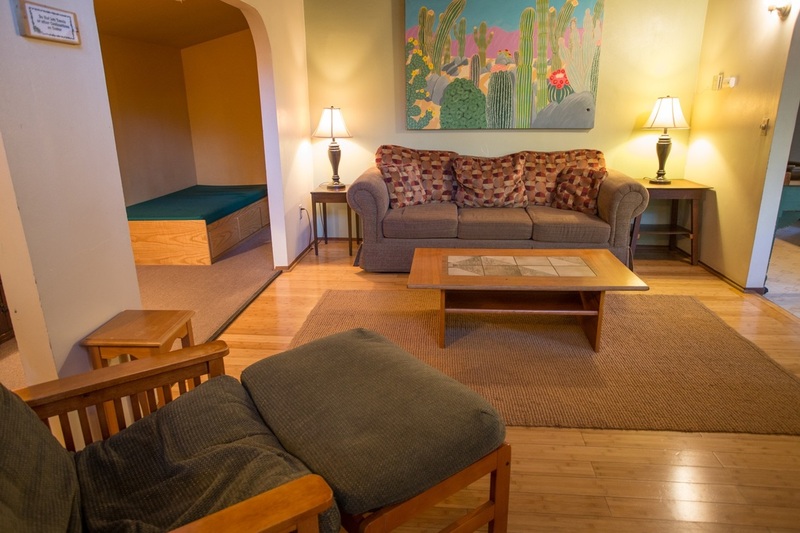 Most of our rooms are very basic, rustic, yet comfortable. 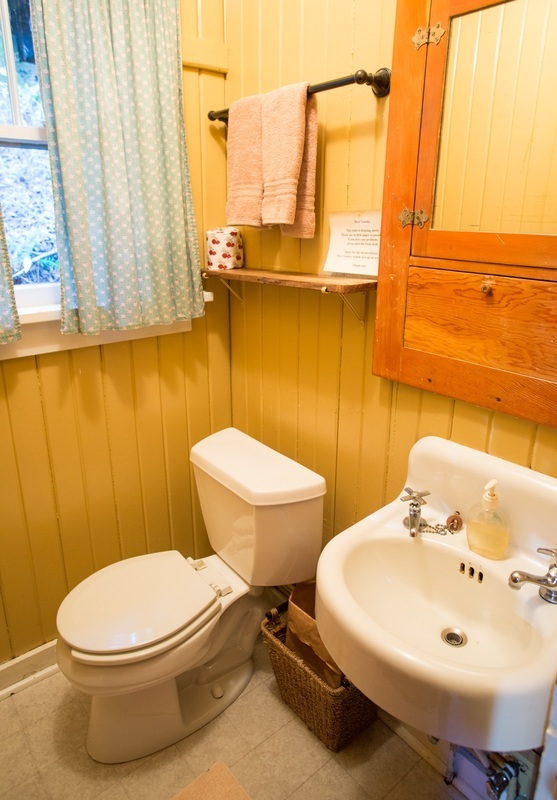 Many have their own private half-baths (sink and toilet), but several do not. Depending on the room, it may share walls with another room, or it may be a stand-alone structure. 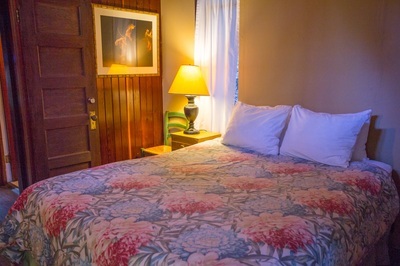 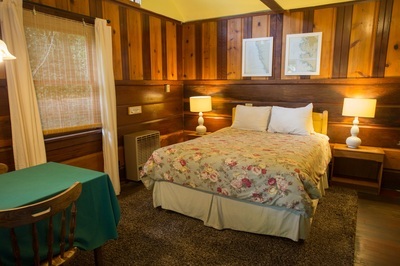 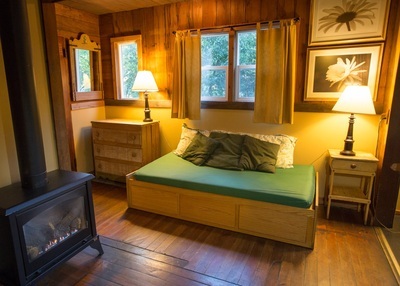 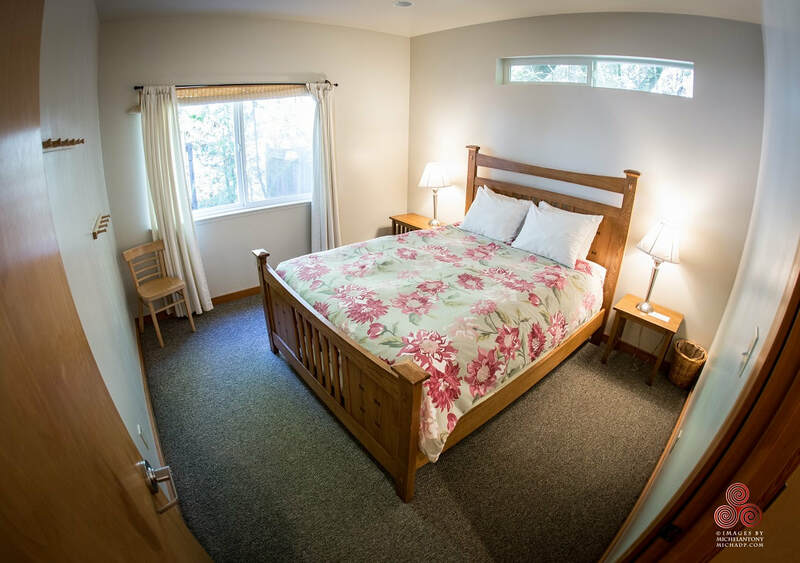 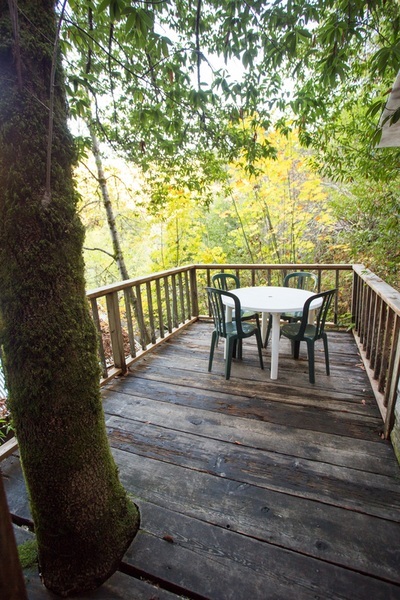 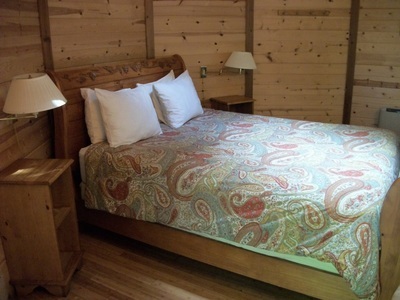 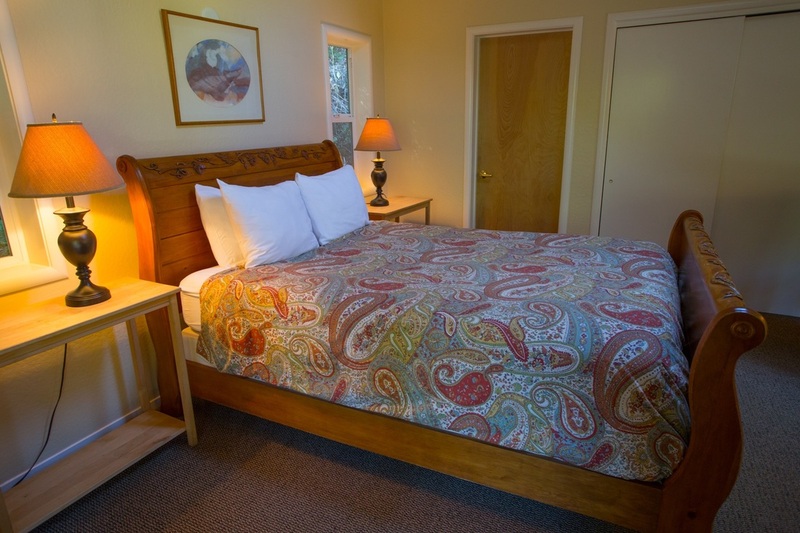 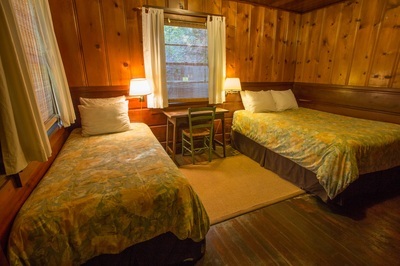 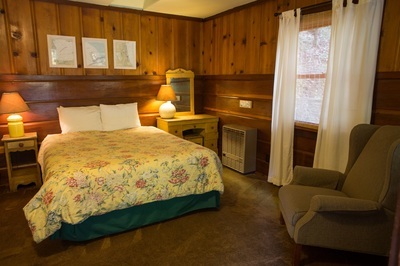 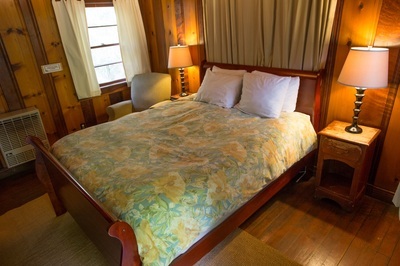 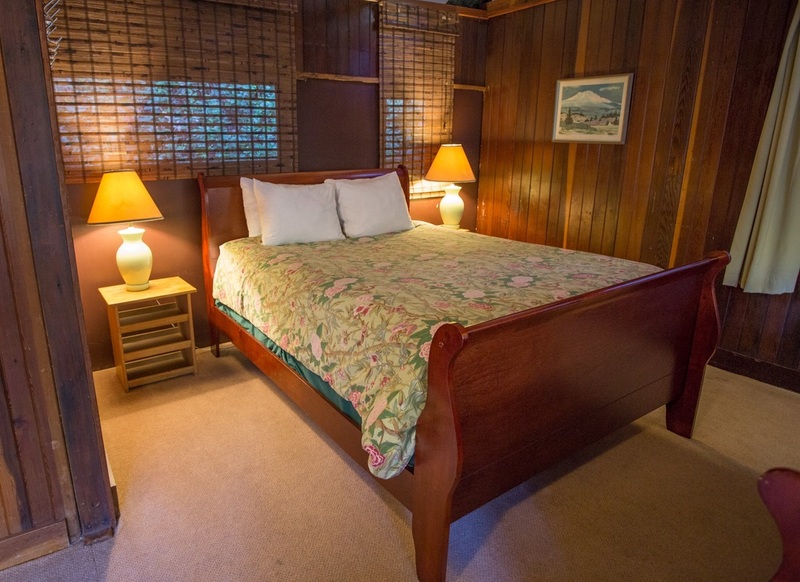 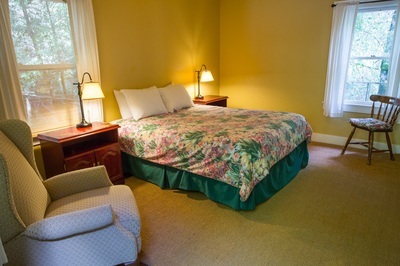 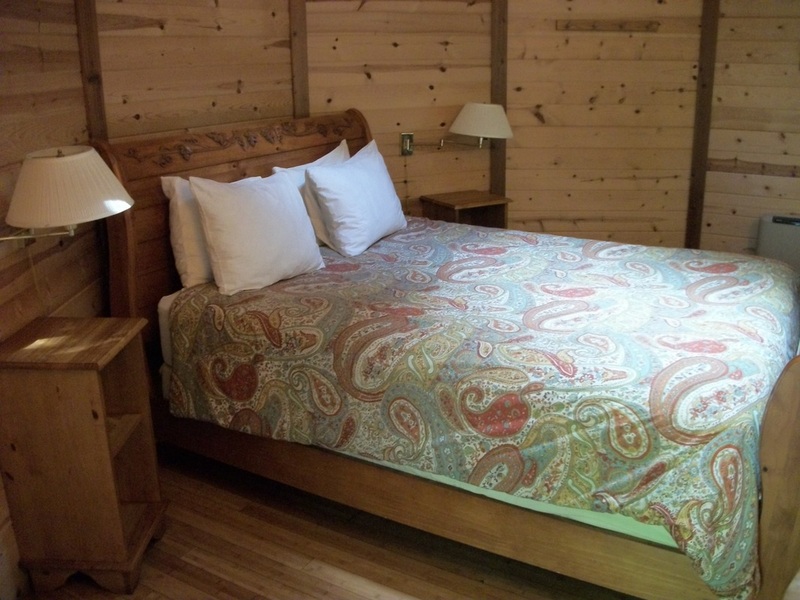 All of our rooms have at least a Queen size bed, and are propane heated. 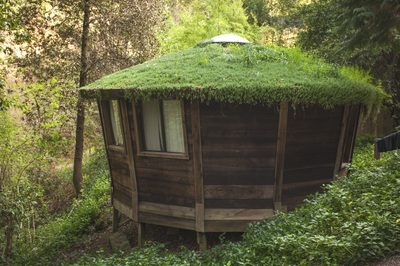 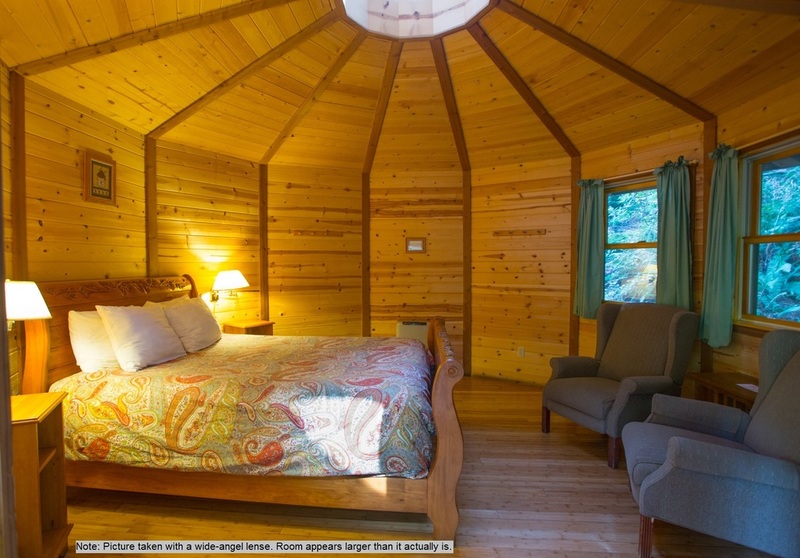 The yurts are stand-alone structures, and do not share walls with any other building, therefore they tend to be quieter and more secluded. 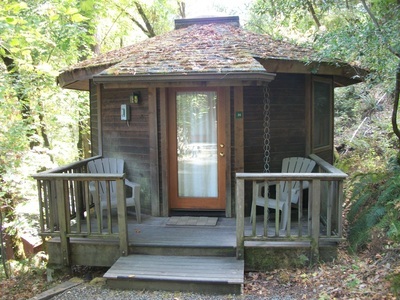 The yurts are round, 12-sided wooden structures and contain a Queen size bed and are propane heated. 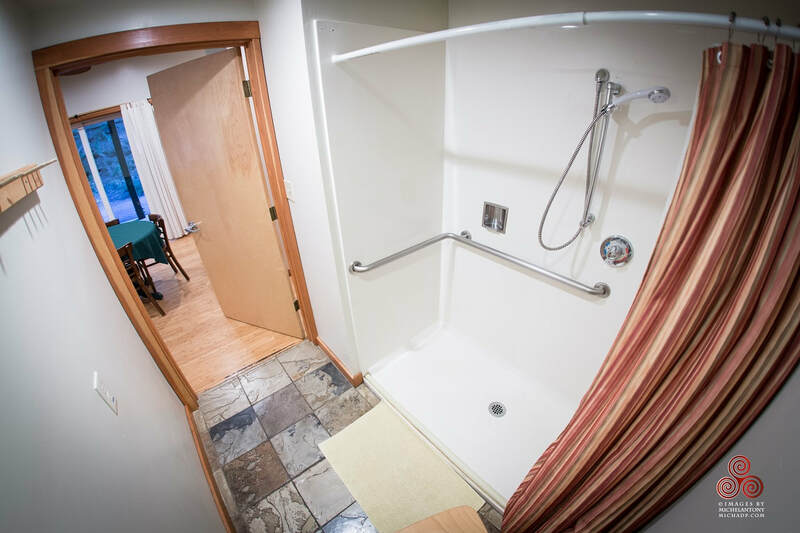 Note: Official ADA Room, cannot rent to non-disabled guests until it is the last room available. 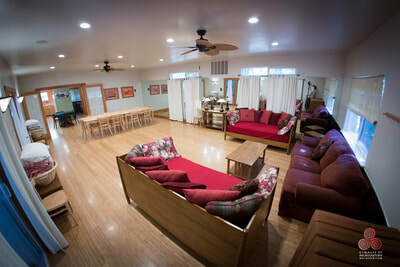 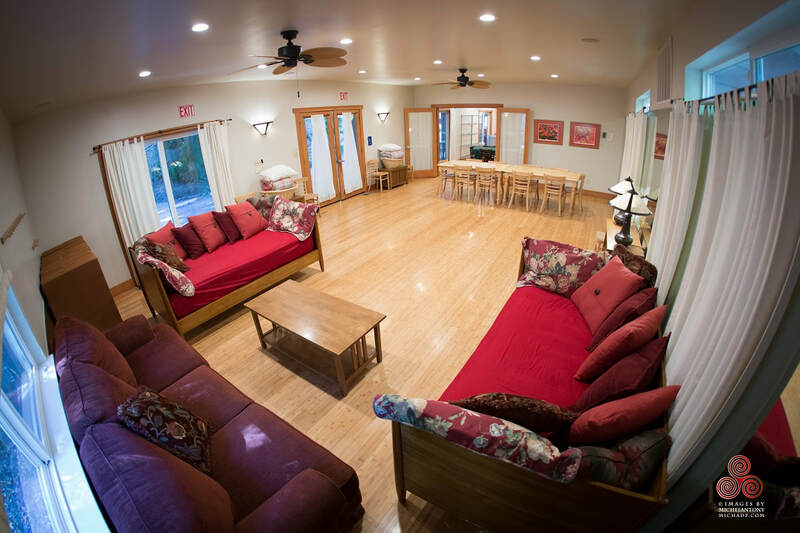 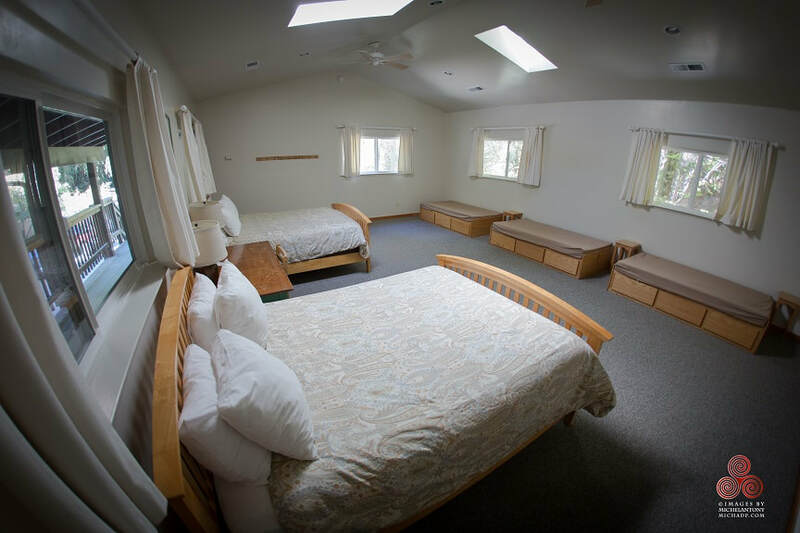 Big room, used for retreats. 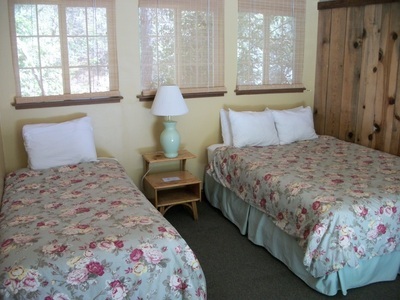 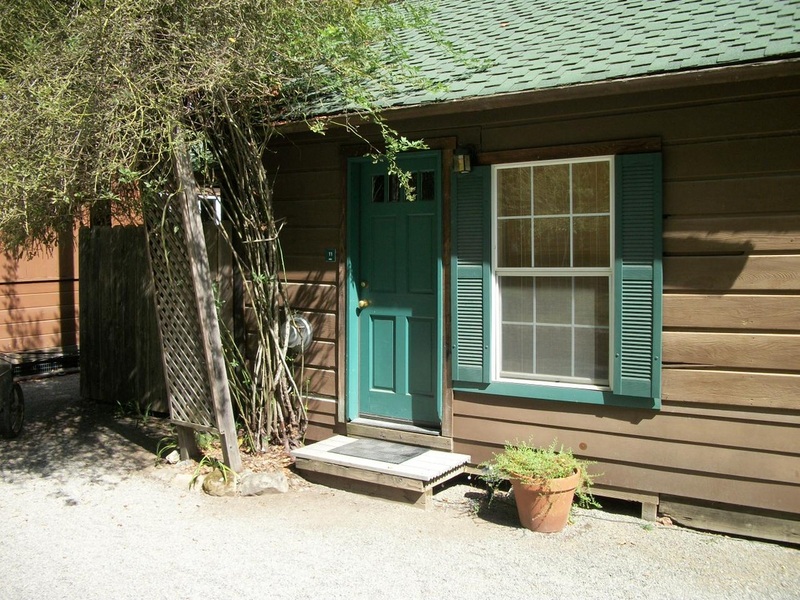 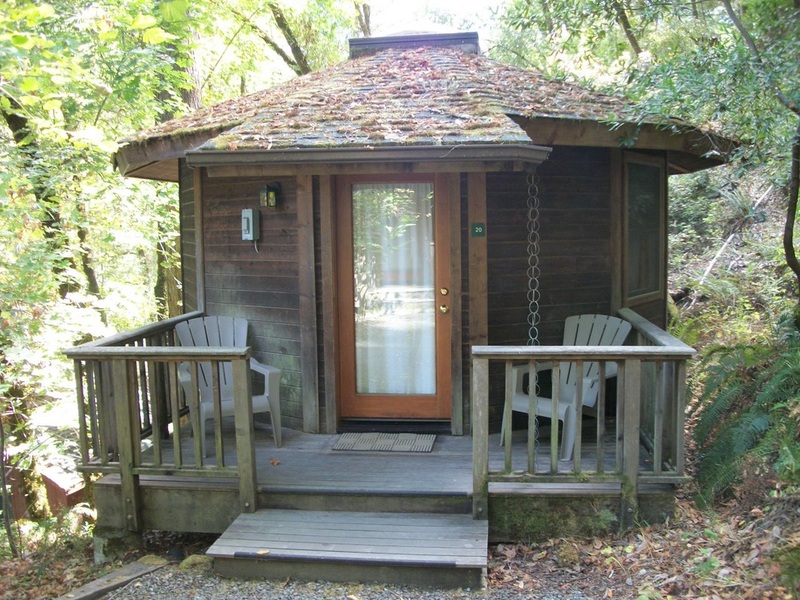 Cottages are larger buildings that have the capacity to sleep more people. 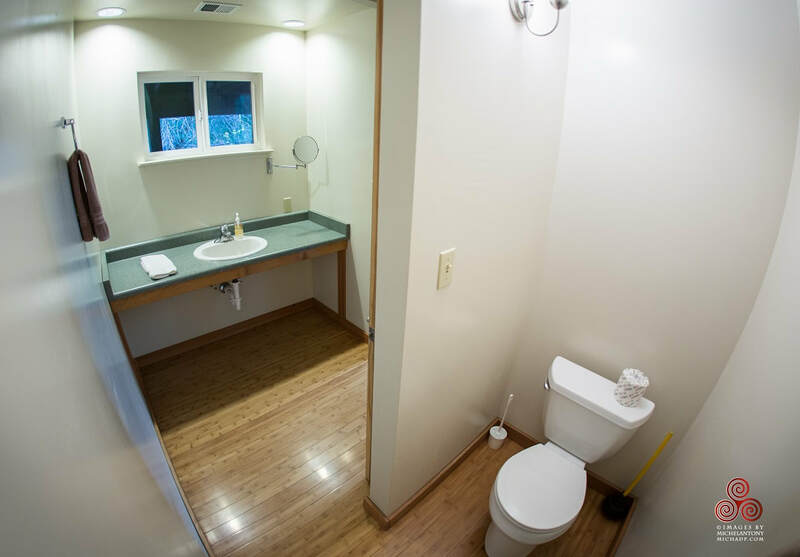 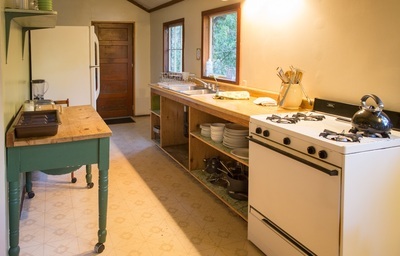 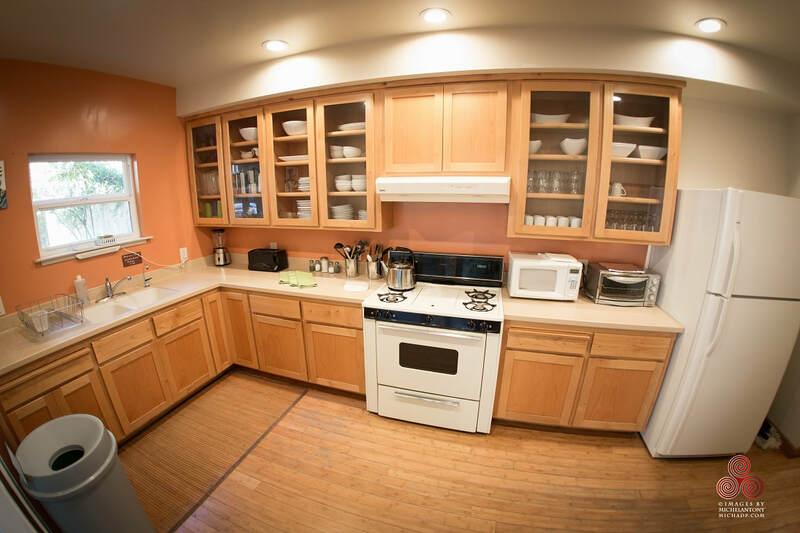 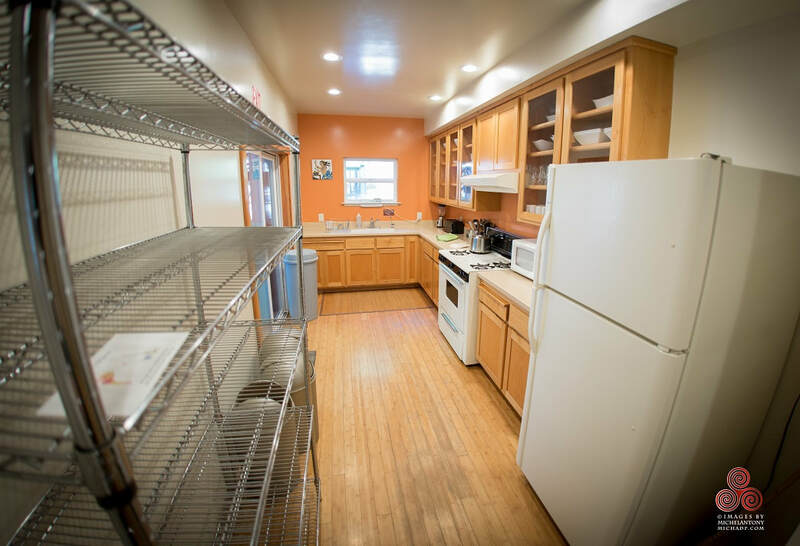 They also contain their own private kitchens and half-baths. 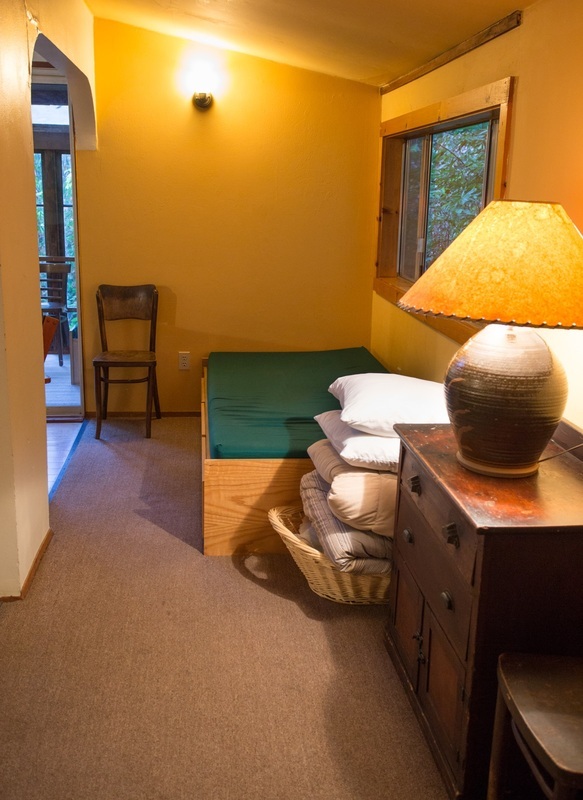 Camping at Orr Hot Springs is very basic. 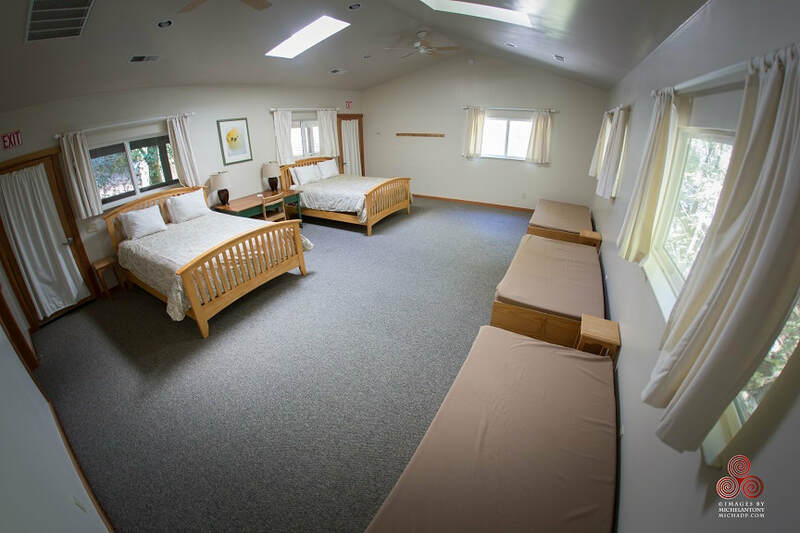 We provide a flat, level piece of ground for you to set up a tent on. The campsites border the creek that runs through the property, and are mostly shaded by trees. Campsites are walk-in only, except for Van Camping, in which you must sleep in your vehicle. 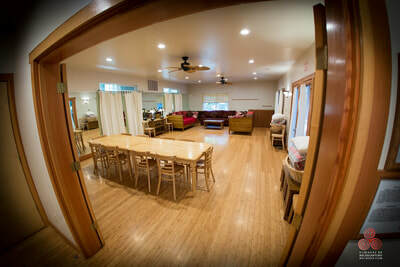 Please Note: Campers must check in and set up sites by 4:00PM.